TAGgo, formerly known as the TAG Touring app, was launched in 2015 as the first app of its kind for music, media and entertainment customers as it enabled tour and production managers to visualise their bookings in real time – including flight itineraries, hotel rooming lists, budgets, amongst other features. 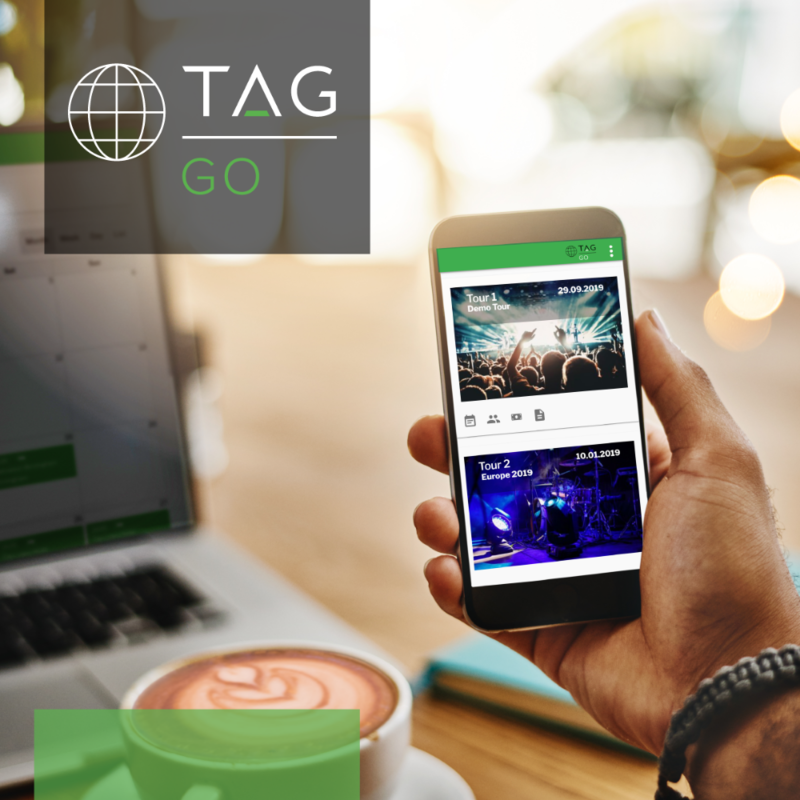 TAGgo has now been revamped to better fit the needs of TAG’s Touring and Entertainment customers, with the launch of several new and exciting features which have been designed to make the system more modern and user-friendly. TAGgo has also been refreshed with an entire new look-and-feel following the company’s recent rebrand. The application is now available via weblink, providing easy access to Android and iPhone users, in addition to also being available on desktop and iPad devices. 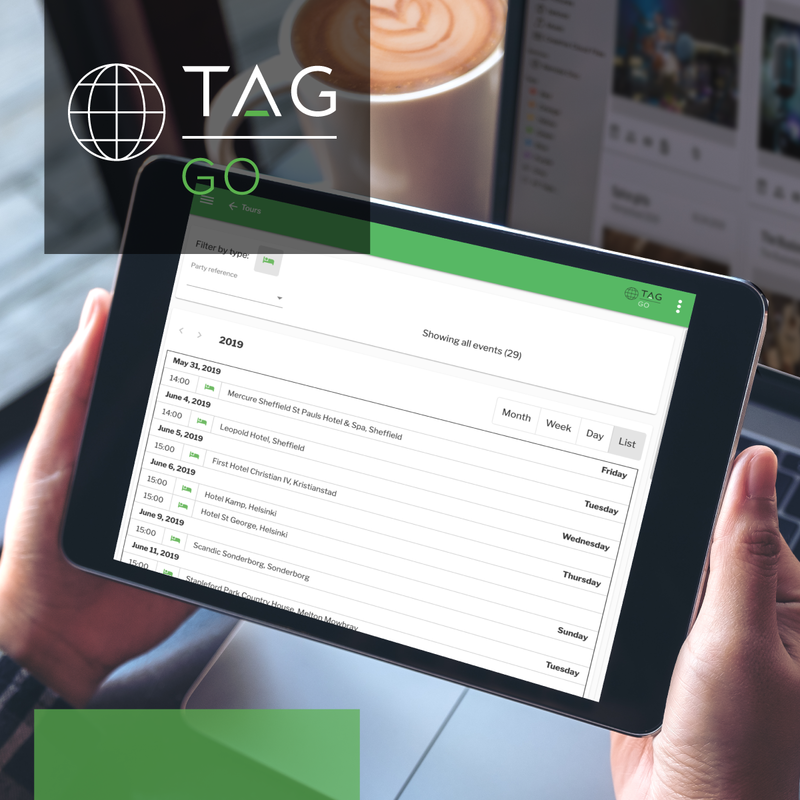 Some of the new TAGgo features include a calendar dashboard to assist with tracking upcoming tour or production activities, such as hotel bookings, flights or meet and greets. In addition, the calendar can now be viewed on a weekly, monthly or yearly basis, more convenient to the users as it allows the teams to keep up-to-date with current and upcoming bookings. Furthermore, users will now be able to personalise their profile by choosing their preferred date/time zone and currency. All these enhancements were developed to make the application exceptionally easier to access and use.